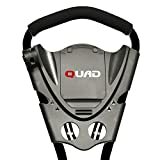 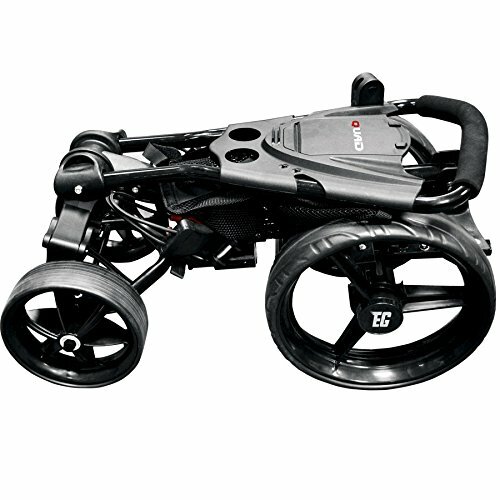 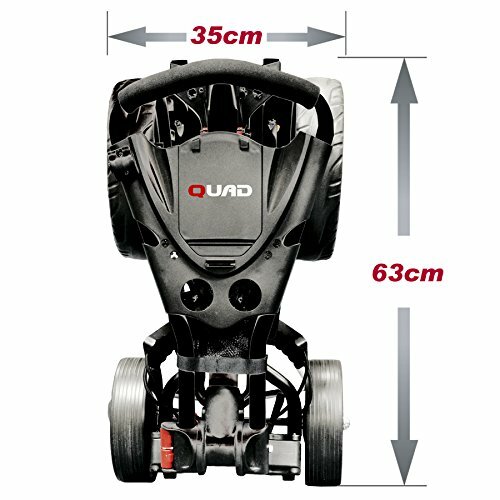 This lightweight quad golf trolley from Eze Glide can be used on any type of terrain due to its two 11" rear wheels and two 8" front wheels that provide effortless stability. 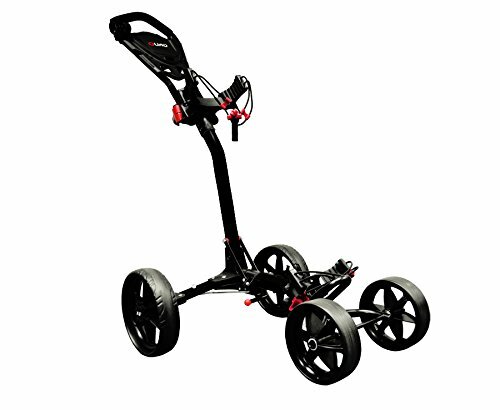 A weatherproof console with a ball and tee holder makes the trolley more durable, whereas an integrated on/off foot brake ensures extra safety. The trolley can be folded to a compact size due to a simple 2-step foot operated folding system. It is easy to store and transport and comes equipped with a height adjustable handle offering a comfort grip.